Meden is a stunning aqua hue with a complex tonal blend of bluey greens. The clear fresh waters of the Meden meander their way through the great ancient Forest. Native wildlife thrives in and by it. In places the Meden has been harnessed to power long ceased textile mills, these now provide a brooding romantic reminder of the birth of the industrial revolution. 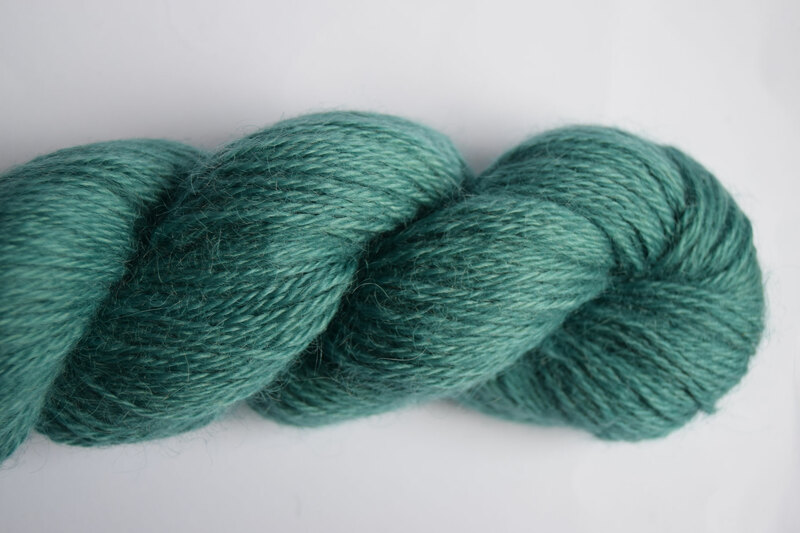 This yarn is 100% British Wensleydale and has a lustrous and silky sheen. Double knit (sport weight), 233m/100g. 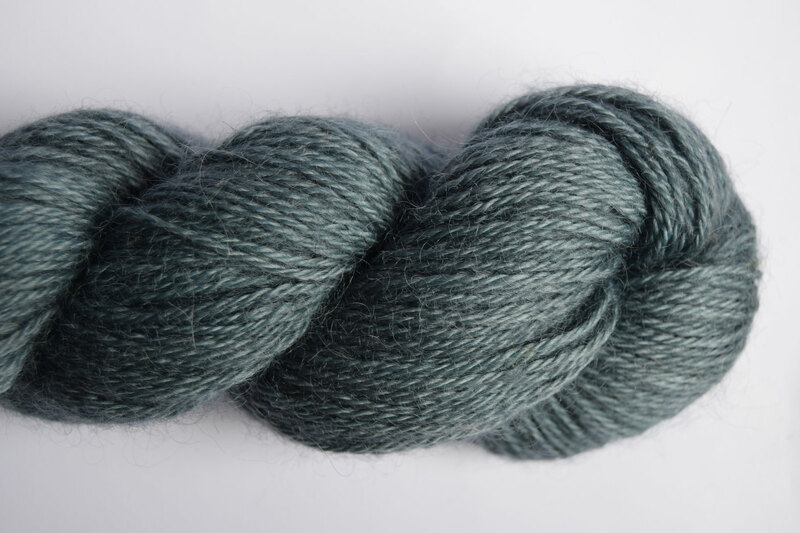 Blue steel is a fabulous bluey-grey semi-solid with subtle tonal shading. A veritable ingot of softness ready to be forged into a creation of your hearts desire!